Every year for the past 10-years we have made a trip to Park City, UT for up to a week-long stay. We purchased a timeshare right at the bottom of The Canyons ski resort in 2003, which was the year after the winter olympics were held in Utah. 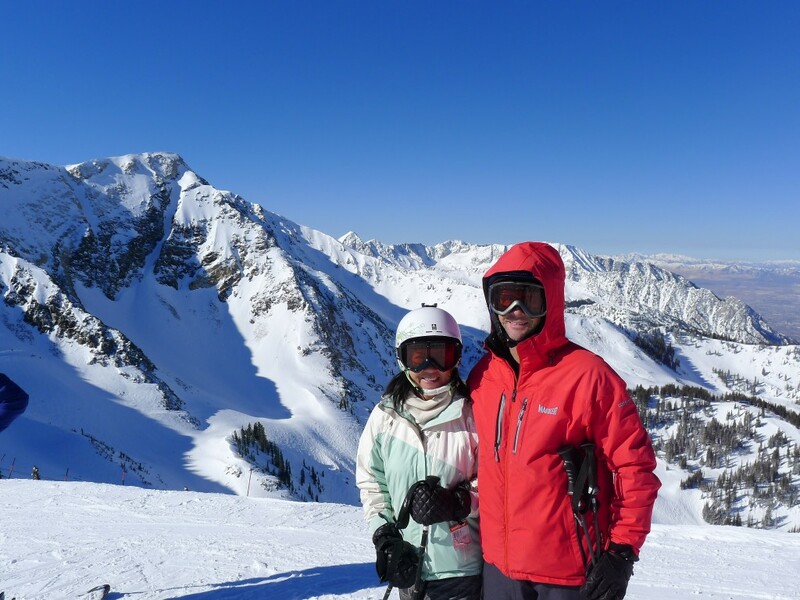 There are so many fantastic resorts in the area around Park City from Snowbasin in the north to Sundance in the south, and the snow is some of the most consistent anywhere. We always visit in the 2nd half of February, and in all the years we have been coming the snow has always been good. We have had as many as 5 powder days during our stay. We decided to sell our timeshare due to rising maintenance costs and deteriorating service and quality at our timeshare, so this will be the last time here for a while. Because of that, we decided to check off 3 of the 4 resorts on our list in the area: Brighton, Snowbird, and Sundance. We still need to ski Alta, which is one of my favorites. AiRung somehow never made it even though I’ve been there 3 times. This brings our total resort count to 36, with 6 new resorts this year. We had intended to check-off Snowbird last year, but AiRung blew out her ACL the first day of the trip and never made it, so the day at Snowbird was a sort of victory lap for her. That was a really great day. We had a couple of inches of powder and snow showers the first day at Brighton, but it looks like it will be dry until Thursday afternoon so no real powder days this year most likely. We skied Sundance today, which is at a lower elevation, and it was super slushy at the bottom by 2PM. I’m slowly working on putting up new resort reviews. The most recent ones were Jackson Hole, and Mammoth. Of course I’m way behind because we have actually skied 36 resorts but there are only 11 reviews up. Part of the reason for that is laziness, but part of it is that so far, the only pictures on this site are ones we have taken, and I don’t have any pictures from some of the 36 we skied long ago. We may have to go back to some of them just to keep the site content original, but we haven’t committed to that yet. This entry was posted in Uncategorized on February 25, 2014 by Ron Thompson.